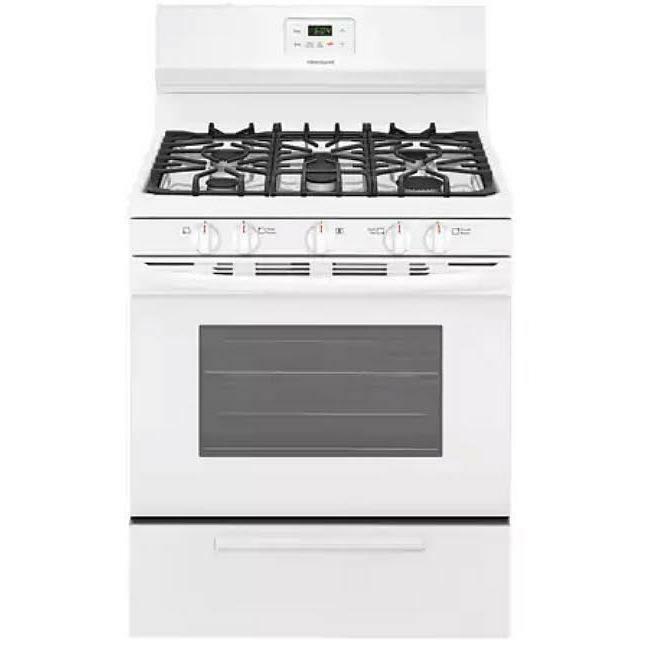 This Frigidaire 20.5 cu. 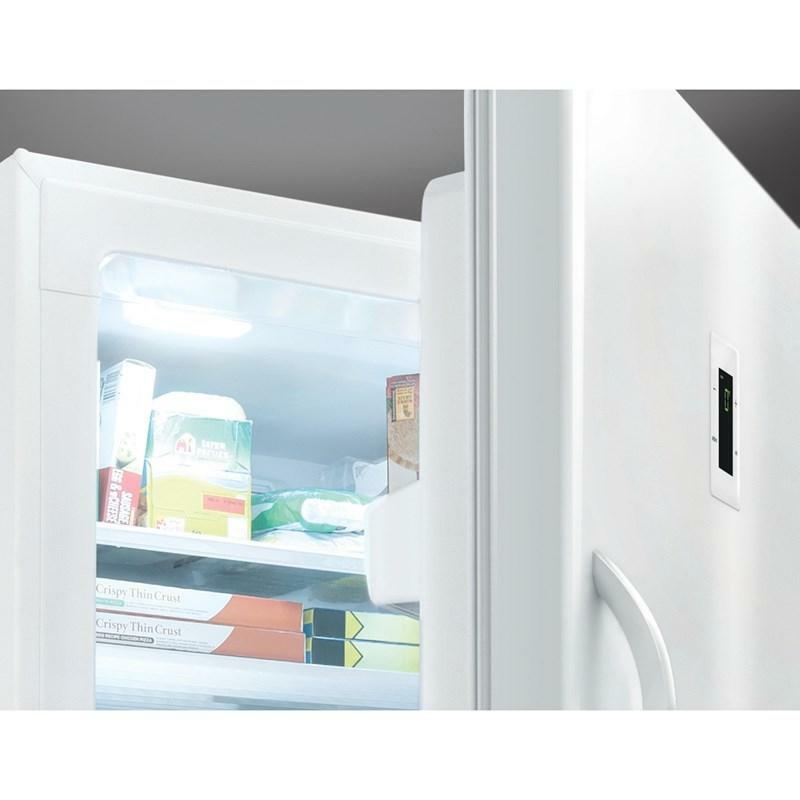 ft. upright freezer features a bright lighting which makes it easy to see what’s inside and a power-on indicator light that lets you know at a glance that your freezer is working. 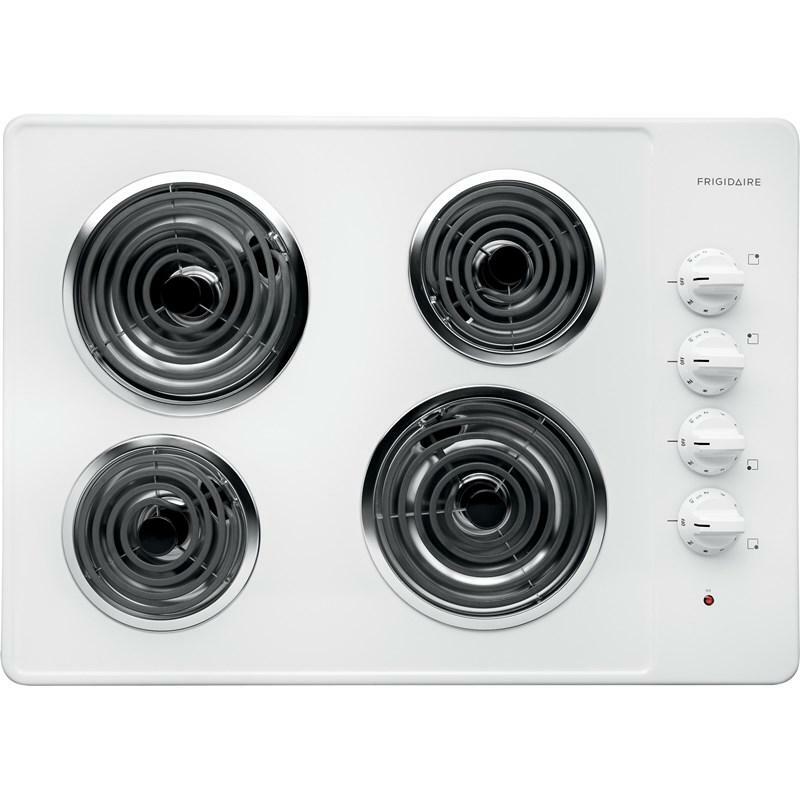 An adjustable temperature control also lets you select the correct temperature according to your needs. 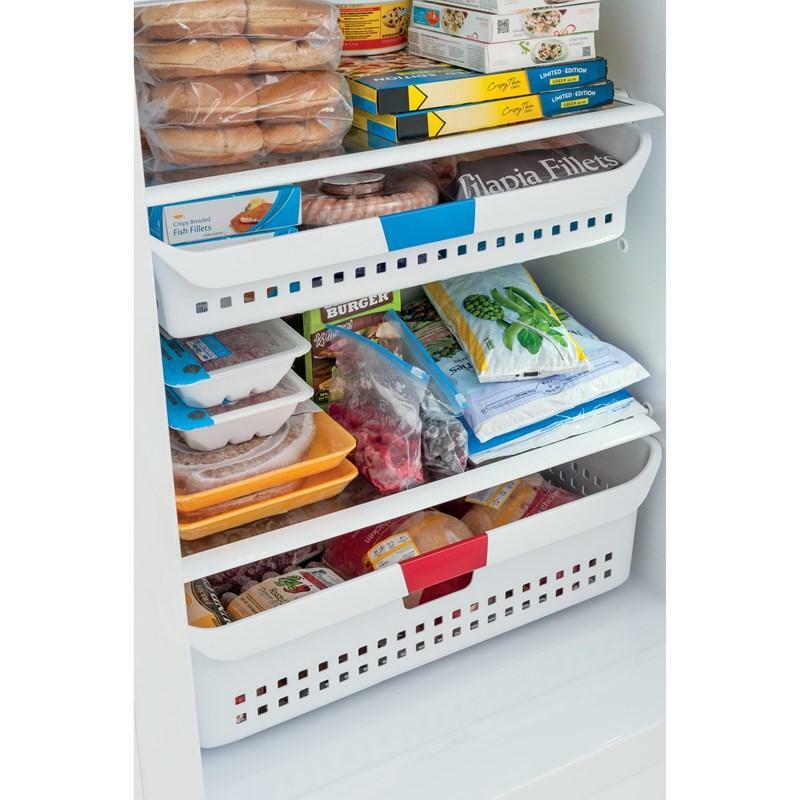 Find items faster with our heavy-duty color-coordinated plastic baskets that can help you organize items by categories or purchase date., and can be slid across freezer. 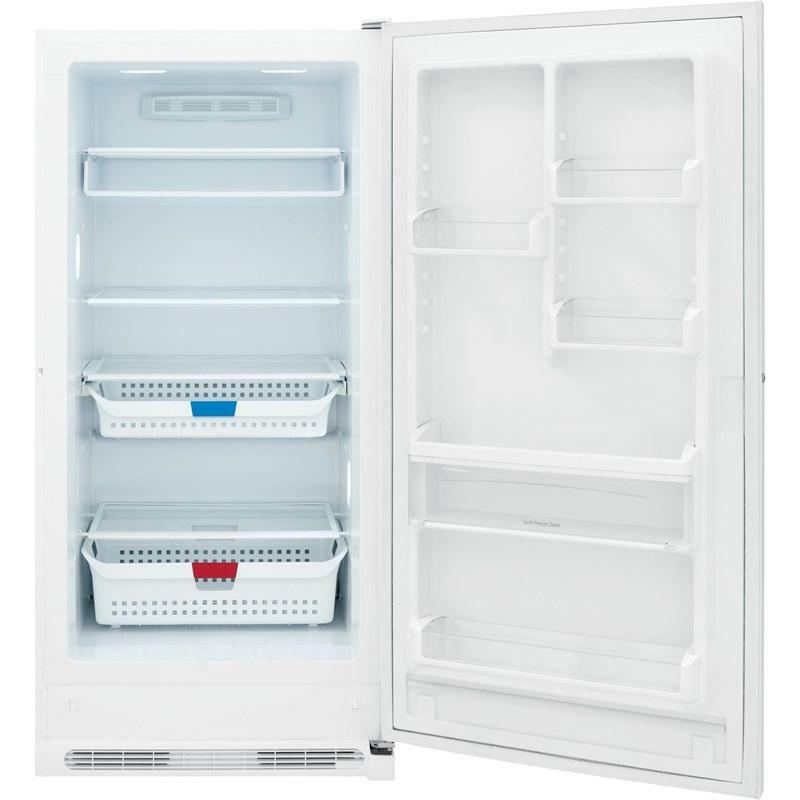 Never defrost your freezer again. 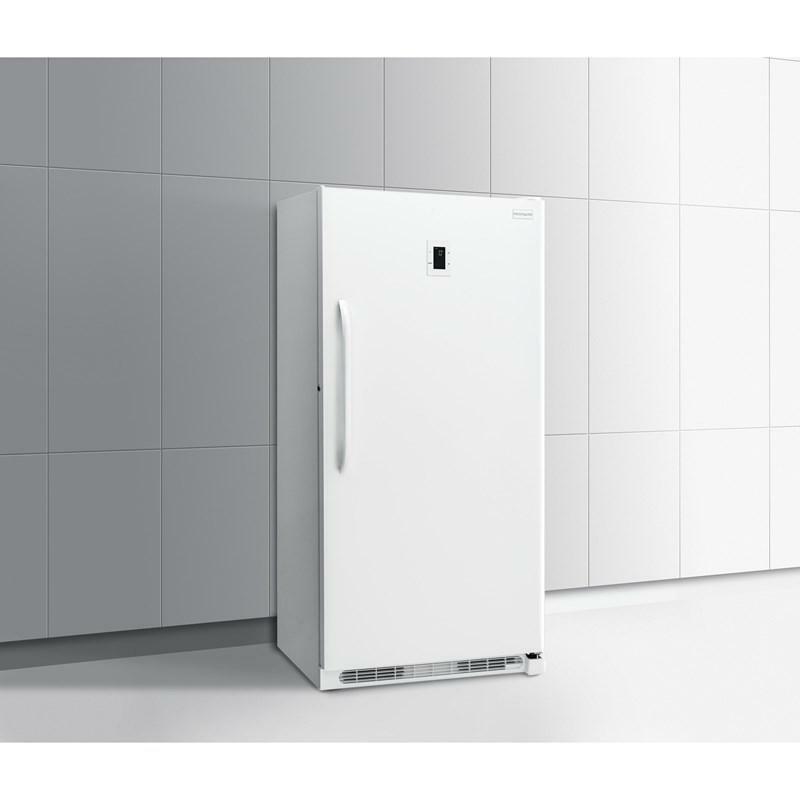 Appliances that are high-performing, more accessible, and more innovative than ever—designed, built, and engineered in the U.S.A. 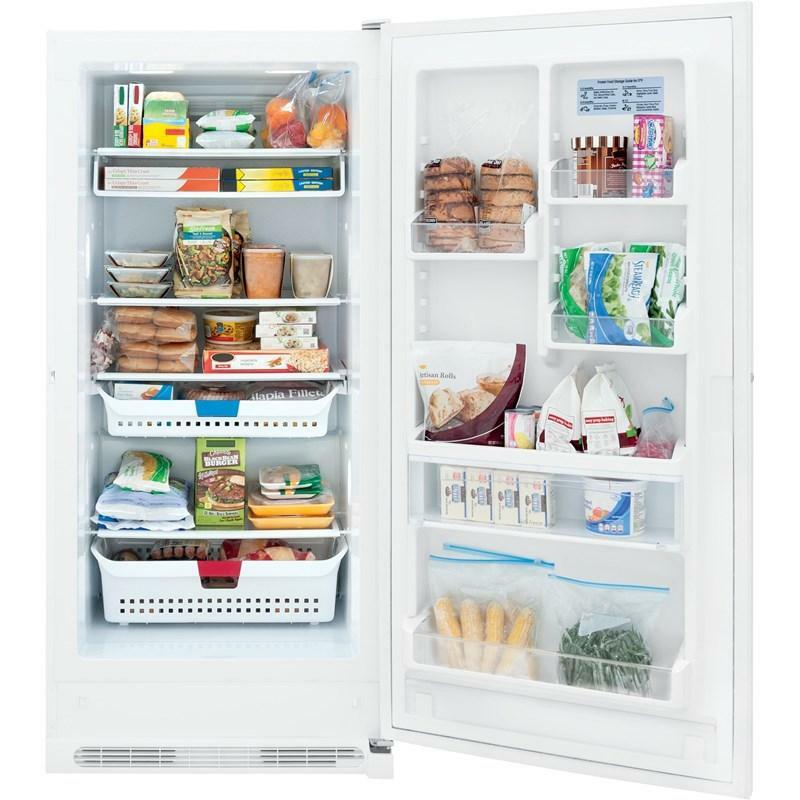 Keeps food frozen for over 3 days if there is a power outage. 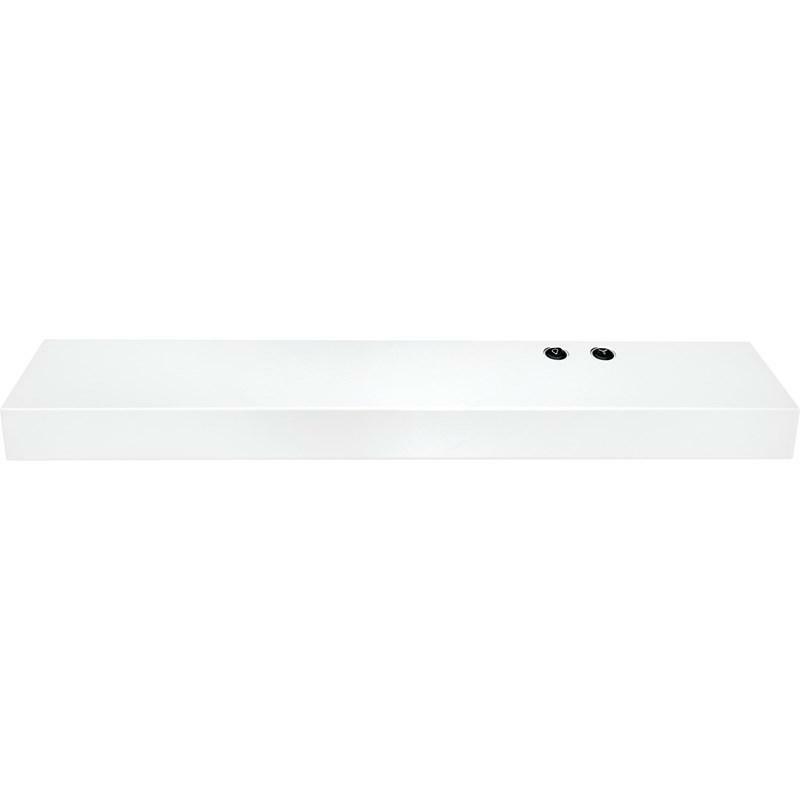 Easily adjust the shelf up and down to create more space for taller items. 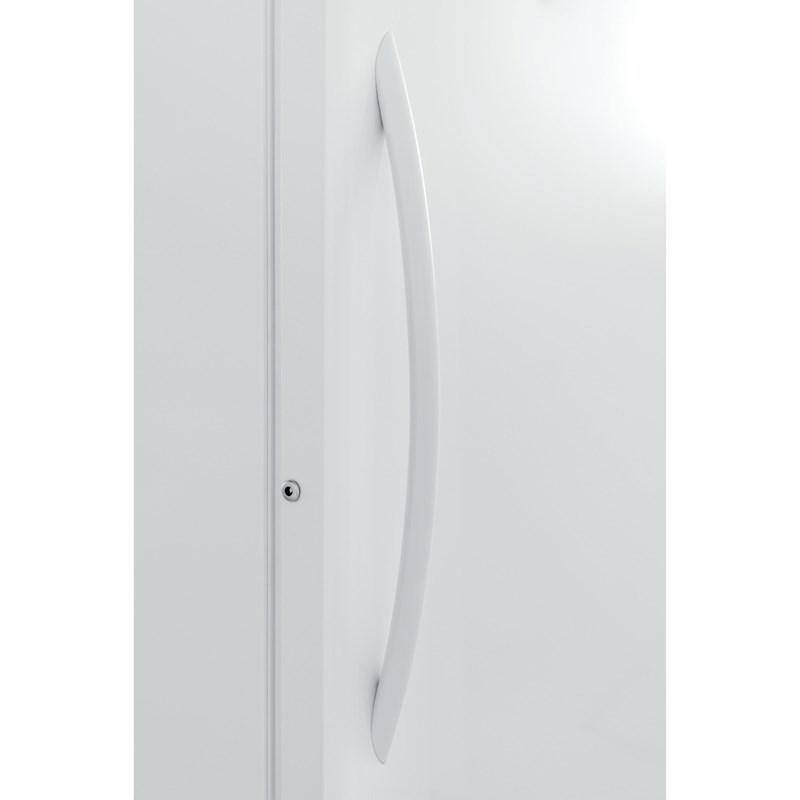 Freezer alerts you if the door is left open or if the temperature rises. A bin that remains slightly warmer than the freezer interior for convenient storage for soft freeze items such as ice cream. 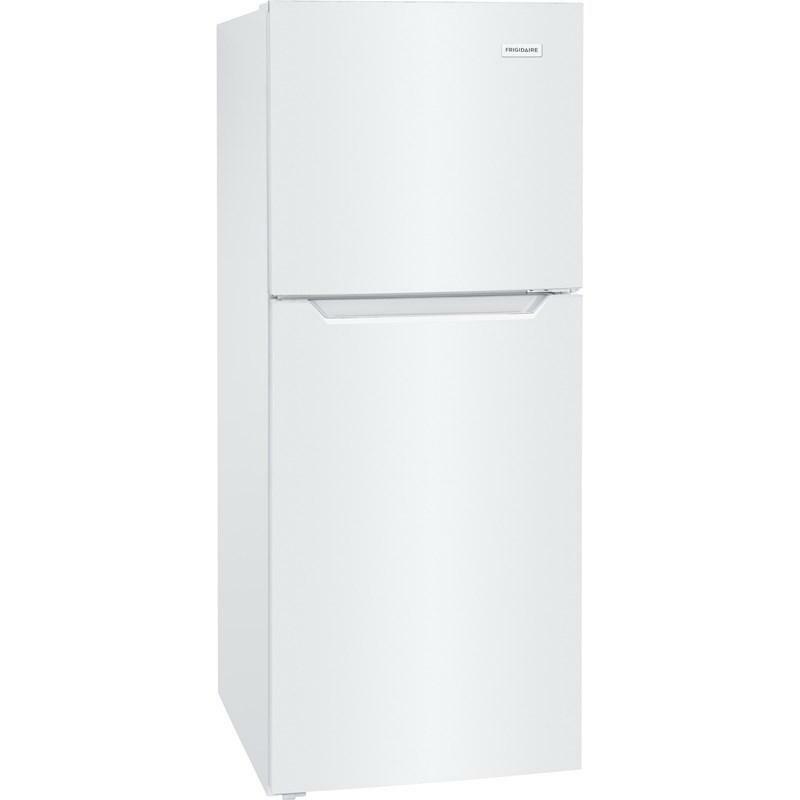 Total Capacity 20.5 cu. ft. / 0.58 cu. 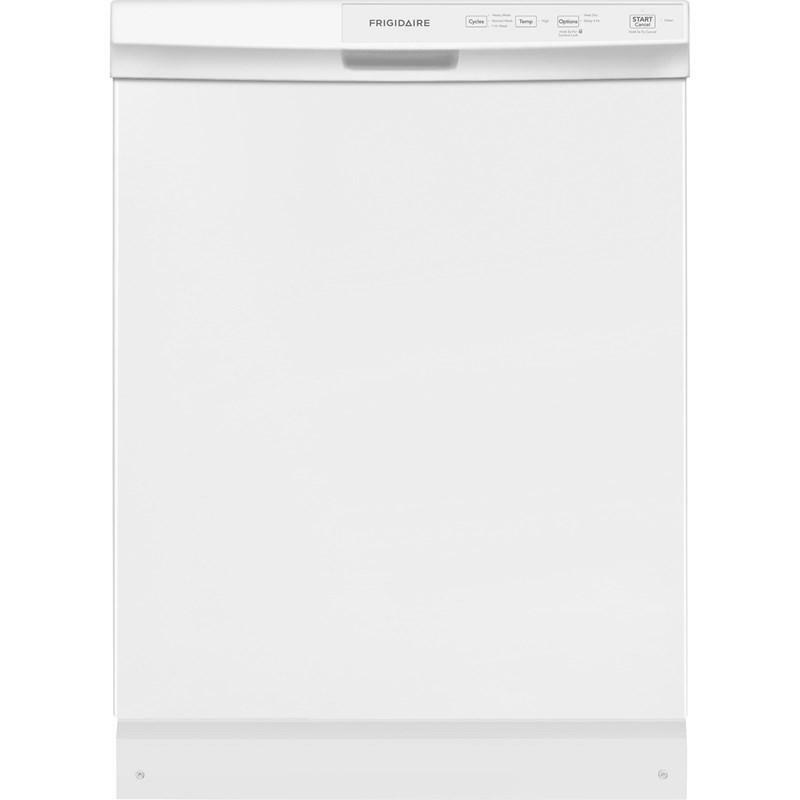 m.
Size Range 19 cu.ft. - 20 cu.ft. Additional Dimensions • Case depth: 24-3/8"
• Height with hinges and covers: 73-3/16"
• Depth (with door 90° open): 62-1/8"
Capacity (cu. ft.): 4.2 cu. ft. 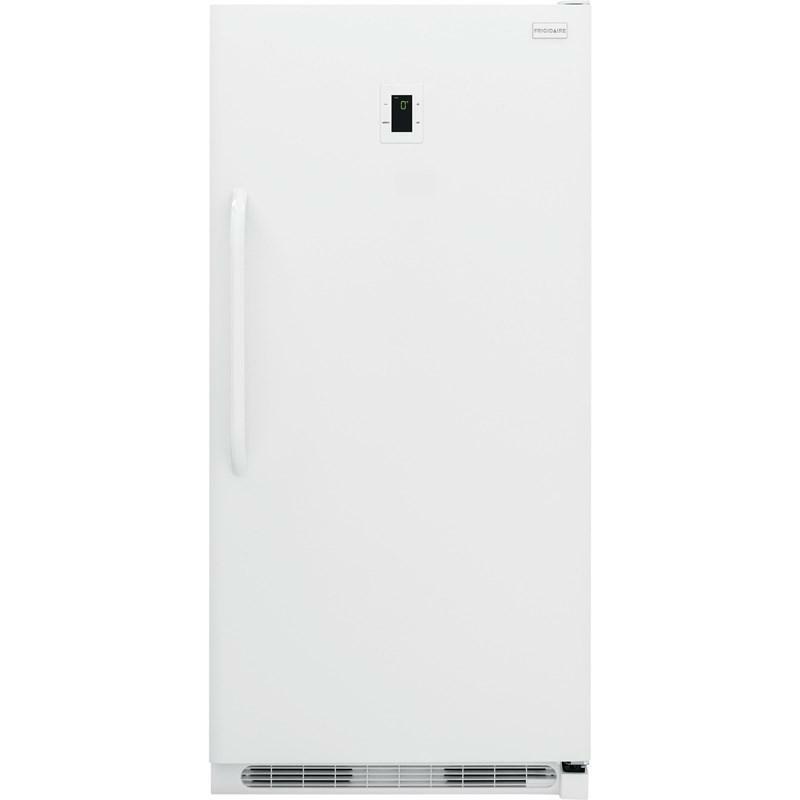 This Frigidaire 11.6 cu. 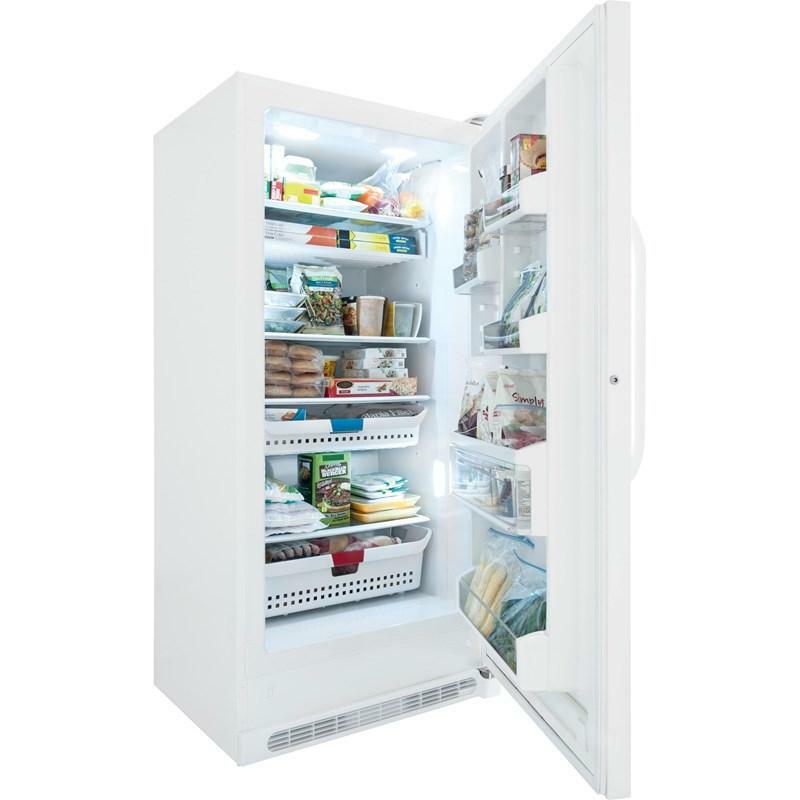 ft. top freezer apartment size refrigerator features Spacewise® adjustable glass shelves, Store-More™ door bins and Store-More™ humidity-controlled crisper drawers. 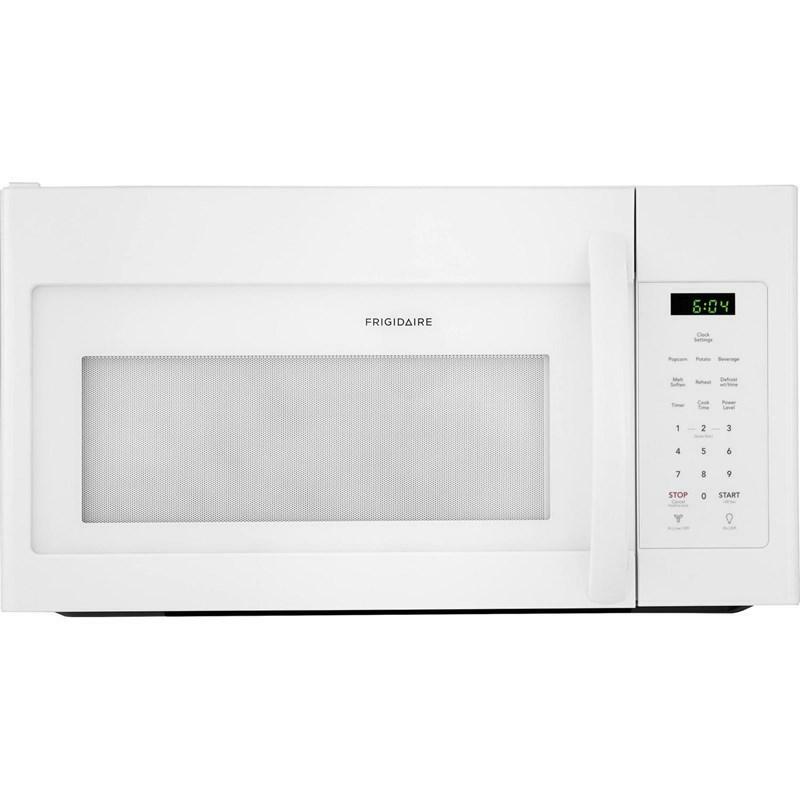 Frigidaire® 30" over-the-range microwave oven featuring Fits-More™ capacity, cooktop LED lighting and a multi-stage cooking option. 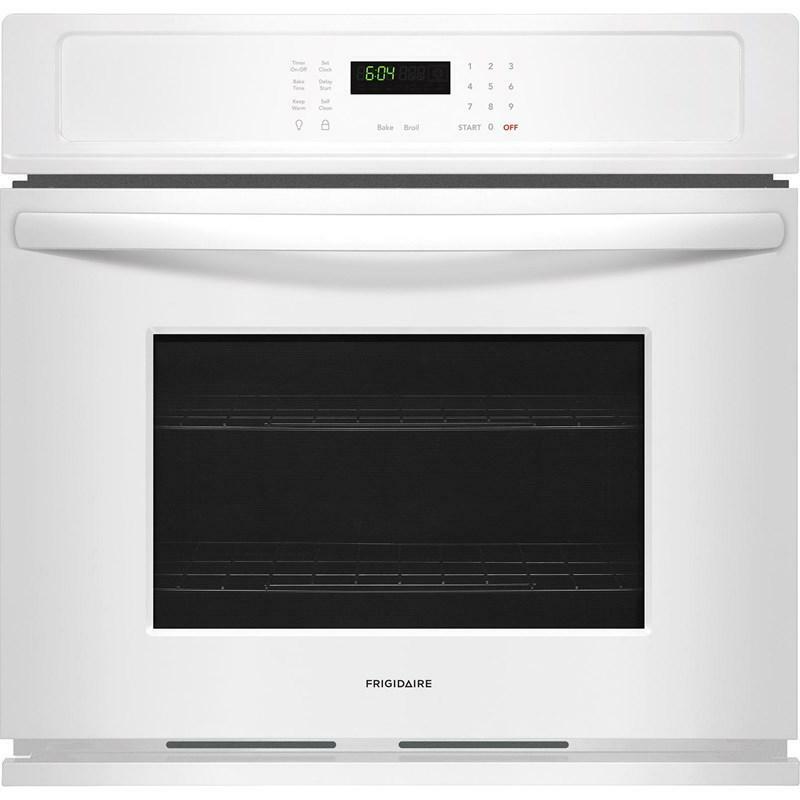 This Frigidaire 30" single wall oven features 4.6 cu.ft. 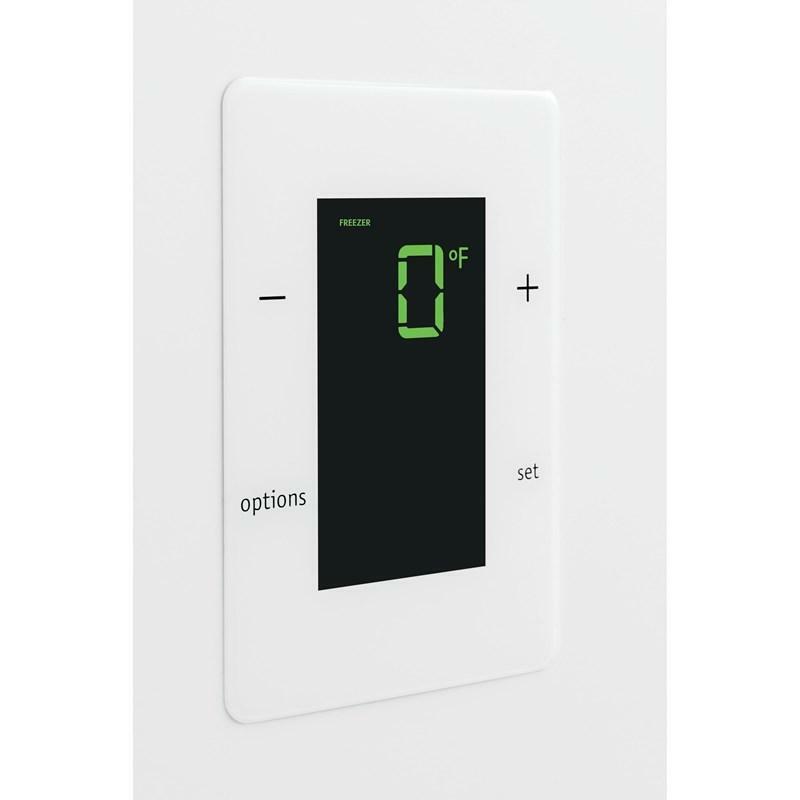 oven capacity, Even Bake Technology, Vari-Broil™ temperature control and Ready-Select® controls.